This includes 5 balanced fertilizer applications, including Broadleaf and Crabgrass weed control. These applications start in the early spring and end in the fall. The lawn applications will be approximately 2 months apart. Call us today to get an estimate on that project you've been wanting to start. We'll be glad to help you take the first step. You can also contact us via our contact page. They did the job fast and within my budget. - Erika G.
Out of several bids Nathan was the only bidder who had a vision for what could be after taking most everything out. - Tamara W.
I had Nathan remove an old concrete slab and re-pour a new stamped and colored pad for my new backyard patio. His crew did a wonderful job. 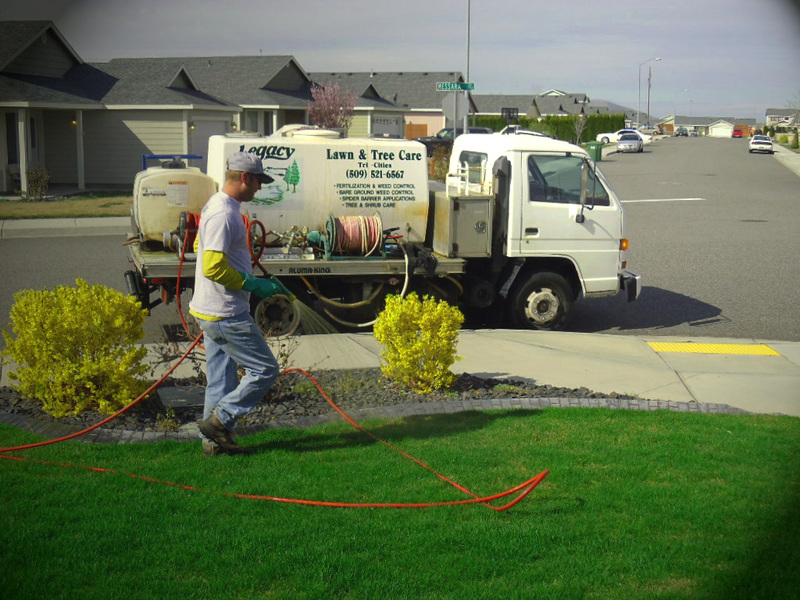 - Jon F.
Legacy Lawn & Landscape - Tri-Cities Full-Service Landscaping in Kennewick, Pasco, Richland, Yakima, and Walla Walla. Our company strives to be nothing but exceptional.